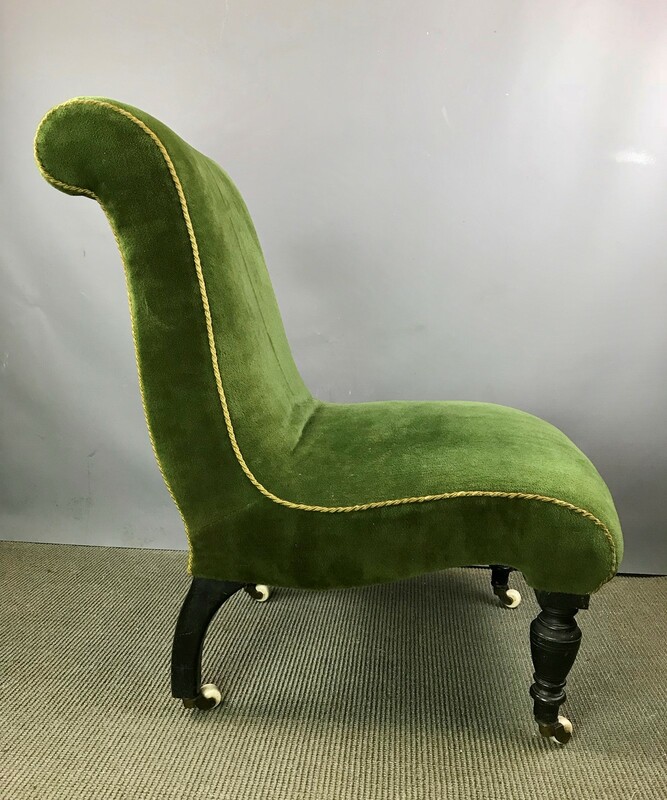 A pretty Victorian parlour or nursing chair, with scroll back and seat front, raised on turned front supports and original brass and porcelain castors. 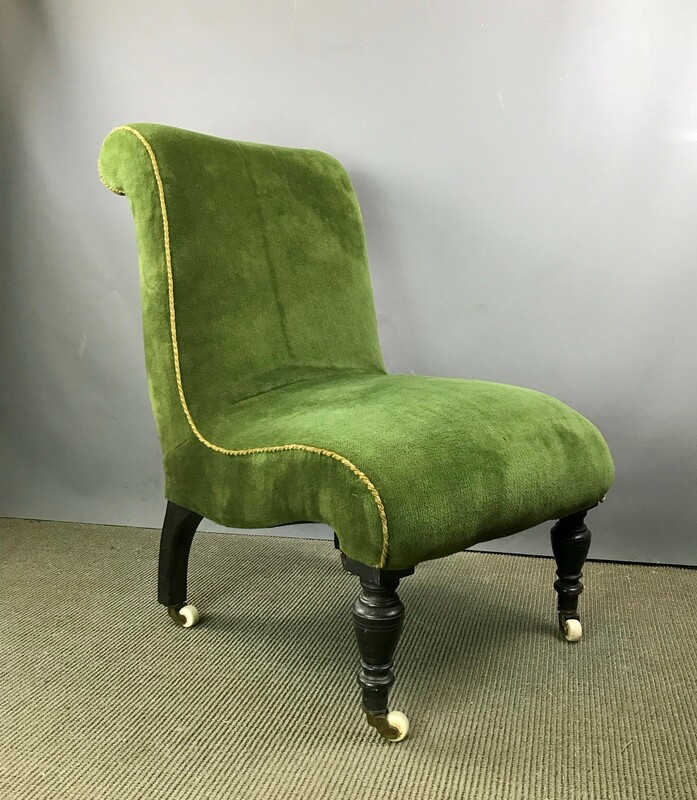 Currently upholstered in a vintage green plush type fabric, probably dating from the 1930's. Re-covering can be arranged at cost. Back measures 78cm high, the seat 48cm wide at the front, 40cm deep and 38cm high.